Trim & Slim® Tea, 3 oz (Nature' Wonderland) - Penn Herb Co. Ltd. Trim & Slim™ helps your body burn fat and helps to reduce your appetite. 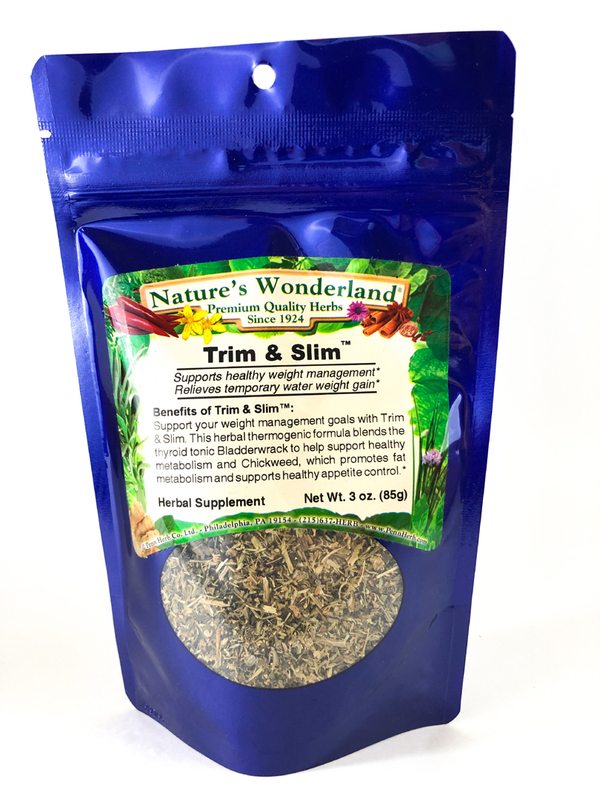 This fantastic formula blends the thermogenic sea plant Bladderwrack PLUS Chickweed herb to relieve temporary water-weight gain. BLADDERWRACK… this plant from the oceans depths provides Iodine, vital nutrition for the thyroid - the body's thermogenic gland. CHICKWEED...loaded with vitamins and minerals, Chickweed helps curb the appetite, relieves temporary water weight gain, and helps break down cellulite. Trim & Slim™ is the smart way to feel great about your body again!